Lady Harvatine: Kona Cotton 30th Anniversary - And Giveaway! Kona Cotton 30th Anniversary - And Giveaway! I use a lot of solids in my quilting and choosing a color palette might be my favorite part of designing so of course I'm a huge fan of Robert Kaufman's Kona Cottons. Did you know they're up to 303 different colors now? That's pretty tough to beat. I was so honored when I was asked if my Wakefield quilt design (PDF now available in my shop!) could be part of the Kona 30th anniversary celebration. Robert Kaufman put together a look book called 30 Quilts for 30 Years which features beautiful designs from 30 incredible quilters. You can check out all of the other amazing quilts in the look book here. The Wakefield quilt is a perfect match for Konas. It's simple and graphic and a great way to highlight a bold color palette. This pattern was originally created when I needed two quilts for the soon-to-be-born twin daughters of a good friend. She had jokingly referred to her babies as Jessica and Elizabeth, the Wakefield twins from the Sweet Valley High book series. The pattern could only be named after the twins and Wakefield was a perfect fit. 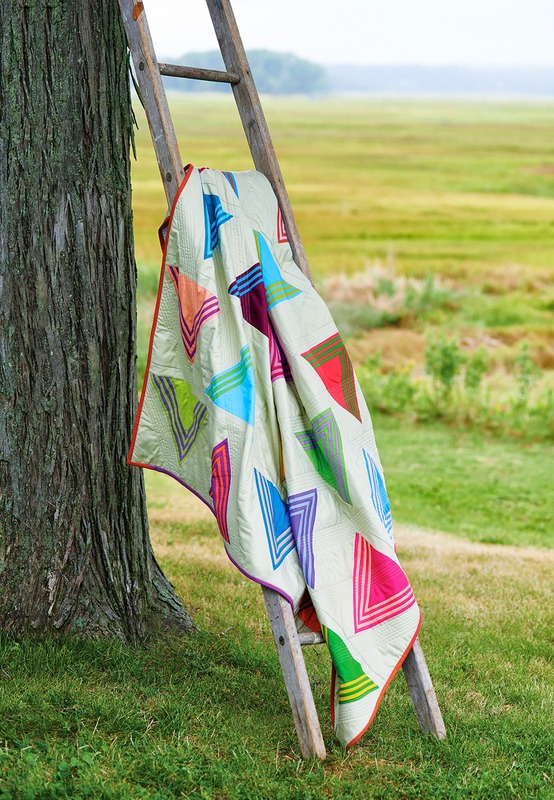 All of the other quilts in the look book are fabulous but if I had to pick a fave it would have to be the beauty by my pal and fellow LAMQGer Latifah Saafir. Isn't it wonderful? Latifah always uses color in such unexpected ways. For more chances to win and to see LOTS more eye candy, check out all of the other stops on the blog hop! I loved the Wakefield twins growing up! Love the reference, too. Congratulations on the beautiful quilt pattern and thanks for the chance for a giveaway. Being self taught, I really love visiting blogs for inspiration. Love your color choices in "Wakefield" and love the color combo in Latifah's quilt too. You Gals Rocked it. Thank you for sharing. Great quilt! 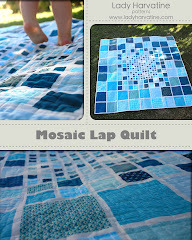 I would love to win this pattern..
What a beautiful quilt! Great use of color and loved hearing the story behind the name. Thank you for the super giveaway and a chance to win. Love your use of colors. My favorite part of the blog hop has been seeing how everyone uses the Kona solids! This has been such a fun blog hop! Wow - your Wakefield Quilt is just beautiful. Thanks! both quilts are wonderful! thanks for a chance. Congrats on you great quilt being in the book. This has been a great hop. Congratulations on being part of the Kona 30th anniversary celebration, and thanks for sharing! Great quilt! Love your patterns. CONGRATS on the publishing too! Great quilt, love having a lot of colors. Congrats and thanks for the fun. your quilt is so pretty. It is different and makes me feel happy. Your quilt is simply stunning. Love the color combinations. Thanks for the giveaway. You're right... Wakefield is perfect in solids. Thanks for the giveaway. This is just a fabulous quilt! Congratulations on being a part of this book! Nice quilt! I'm glad I found your blog through this blog hop. Great quilt! Thank you for sharing and I like Latifah's quilt, too. Thanks for the giveaway. I'm up for a giveaway! I agree the new colors are so pretty! Thanks! Love Wakefield AND when you scroll it down at the right speed it really curves along. The Half-Assed Tutorials are great --especially your little trick or treaters and the summer slipper flipflops! Happy Thanksgiving! I like your quilt, I think it's unique. Thanks for sharing. Have a nice Holiday. What an amazing variety of quilts has come from the Kona Solids in the hop. Thanks for sharing yours. Happy Turkey Day! 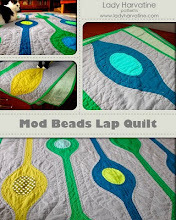 Your Quilt is Awesome & love the story about naming it! Perfect for sure!! I just love your Wakefield Quilt. It's been so much fun following the blog tour...so many beautiful quilts! The imagination for creating a quilt with Kona Solids is endless. Thank you so much for a chance to win a packet of these beautiful fabrics. Congrats! And what wonderful colors! 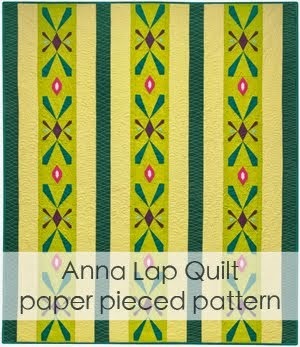 I have seen so many gorgeous quilts on this hop! I agree it would be hard to pick a favorite. It's so much fun to follow the blog hop each day and see how everyone is using Kona solids! Thanks for the chance to win. 303 different colors to choose from: that is so amazing. Love seeing the variety of ways the quilt designers ar using the Kona solids. 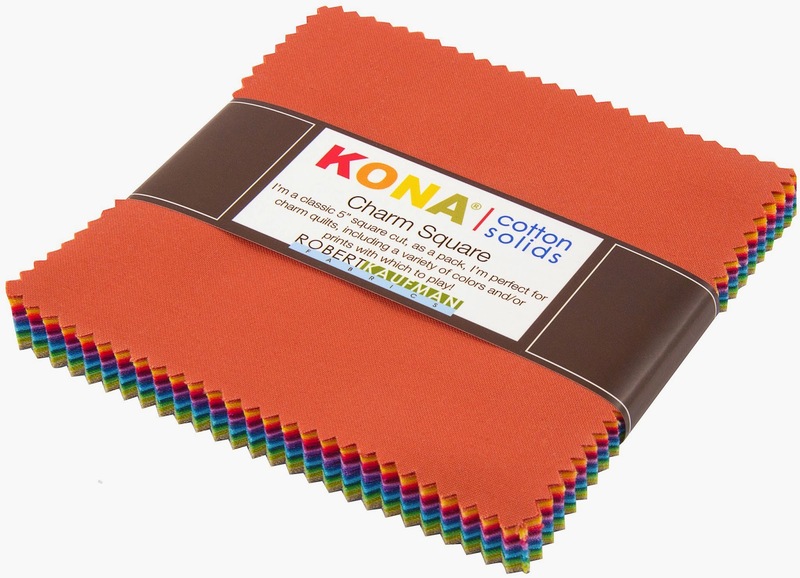 I'm amazed at all the beautiful quilts made with "solids" but it's so easy with all the Kona colours to choose from. I love this quilt. I can see it working beautifully in so many different color schemes! So many pretty colors and quilts!!! Just found your blog and love your quilt! There is so much movement and interest. Want to start my own solids right away! Thank you for the inspiration. Lovely quilt. A great showcase for the Kona Cotton. The new 2014 colors are so pretty, especially the purples and blues. Congrats on being included, and nice to meet you. Nice work. Love the colours. First time I've been to your blog and I will revisit soon! Such a great quilt with lots of visual impact! So many great quilts in this blog hop. Thanks for the chance to win! What a great quilt! 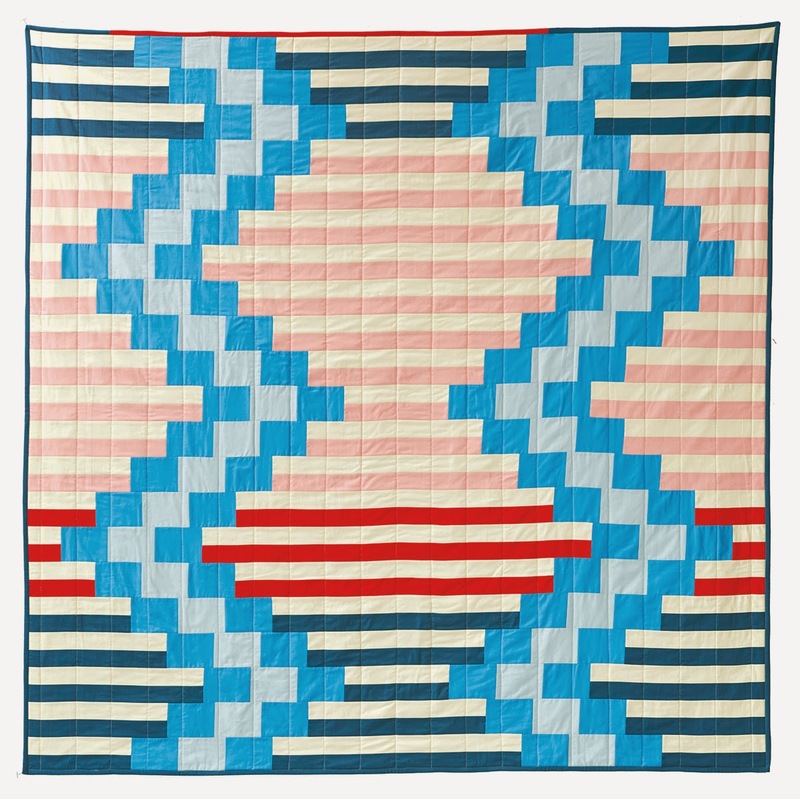 Seeing all the amazing quilts the last few weeks is so inspiring! Love your quilt...love to do this in all the shades of pinks and purples. Thanks for the opportunity to win. Love the color choices. Sincerely, Paula K.
I would love your pattern - it is lovely!! Thanks!! First time I see your blog, I am happy to participate, I like quilts with visual impact, like yours. Love Kona Solids-my "go-to" fabric when I need something to make my ideas stand out! Love your quilt, very interesting color combos. Congrats! The quilt looks great! 303 colors...really? And that is probably just the KONA line! No wonder we have such trouble choosing colors! The phrase "so many to choose from" has officially gone into cyber space!!! But I love your quilt! Such a nice quilt. the Kona fabrics have such warm colors. thanks! I too love Kona Cottons. Your pattern and the charm pack would be a real treat. Love that quilt on the ladder. i love those colors. A lovely deceptively simple pattern to make the most of Kona's wonderful colour range! My favorite...crocus! Love their purples.